Constructing foundations is one of the oldest of human activities. Foundations provide support for structures by transferring their load to layers of soil or rock beneath them. 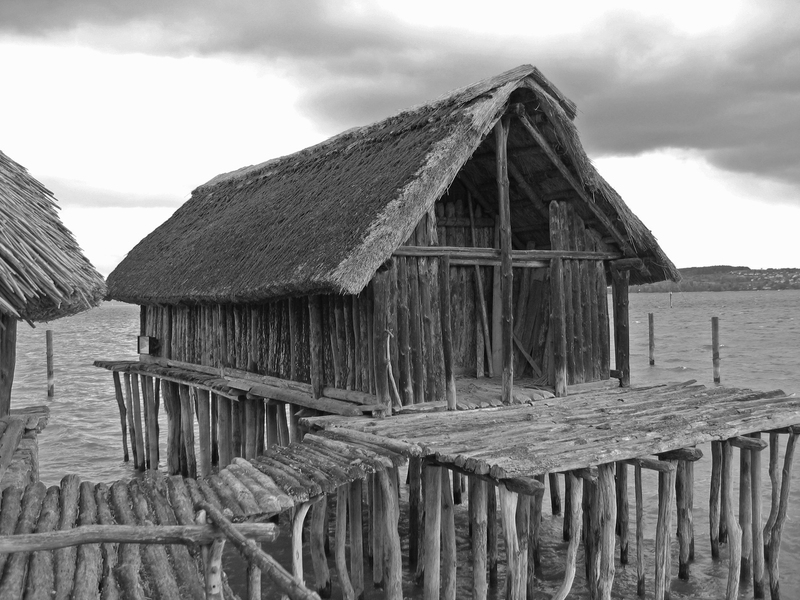 Over 12,000 years ago, neolithic inhabitants of Switzerland built houses on long, wooden piles that were driven into the soft beds of shallow lakes, keeping people high up above dangerous animals and hostile neighbours. A few thousand years later, the Babylonians raised their monuments on mats made from reed, and the ancient Egyptians supported the pyramids on stone blocks which rested on the bedrock. It was in ancient Rome that foundation engineering really leapt forwards, with rules created and concrete used. In the first of a series of posts that chart the history of modern building elements in the UK, we look at how foundation engineering has changed over the past century or so. The Public Health Act, introduced in 1875, was the first legislation that required byelaws to be set by the authorities. These byelaws were focussed on the development of new streets, ensuring the structural stability of houses, preventing fires, providing adequate and efficient drainage, and ensuring air space around buildings. In 1878, the Building Act provided more detail regarding house foundations and wall types. For foundations, the byelaws stated that walls should have stepped footings (twice the width of the wall) and that nine inch (225mm) thick concrete should be placed under the footings unless the building sat on gravel or rock sub-soil (‘solid ground’). At that time, Portland cement was seen as making the best concrete, with hydraulic lime as ‘the next best thing’. Common (hydrated) lime was seen as inferior. It is not known how many authorities adopted these byelaws outside London – many produced their own, less onerous rules. This meant that the nature and quality of foundations varied somewhat (concrete foundation, brick footings, rubble/flagstone) with depths varying according to circumstances and, in general, shallower than modern foundations. Raft foundations are created from reinforced concrete slabs of uniform thickness, covering a wide area. They spread the load over the whole area of the foundation, in effect ‘floating’ on the ground. In the 1920s and 1930s, this type of foundation was common, with brick footings also permitted. In the late 1940s and throughout the 1950s, most new houses were built on strip foundations, although raft foundations remained popular. Strip foundations are particularly suited to light structural loadings, such as those found in many low-to-medium rise domestic buildings, with minimum strip widths applying to different ground types and total load. These regulations were set out in the National Building Regulations in 1965 and applied generally throughout England and Wales, with the exception of London which had its own Building Acts. Today, raft foundations are quite rare, except in former mining areas. An overview of modern types of foundations can be found here.